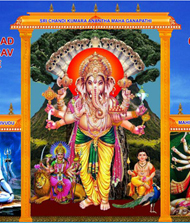 Lord Ganapathi, also described as Ganesha, is a very popular and revered Hindu deity and perphaps the most worshipped God in India. 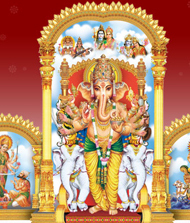 People mostly worship him seeking success in endeavors(siddhi) and intelligence. 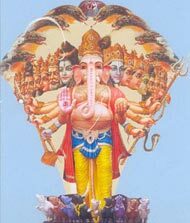 (buddhi). 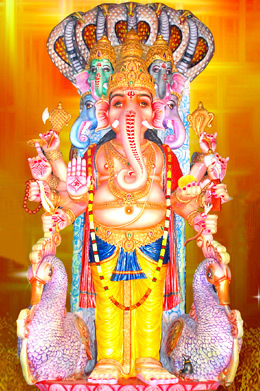 He also symbolizes wealth, wisdom, and happiness. 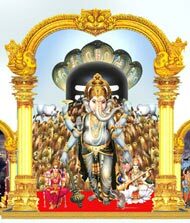 He is worshipped before any venture or journey is embarked upon. 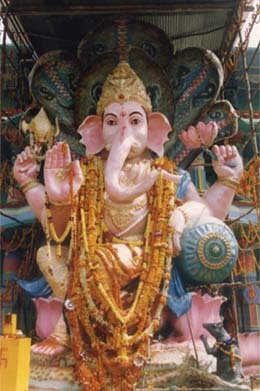 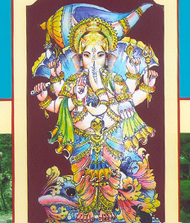 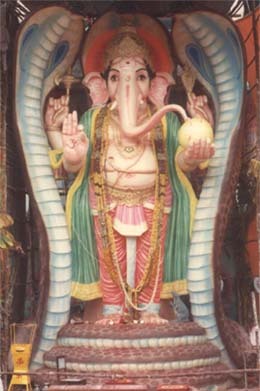 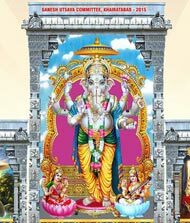 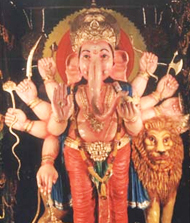 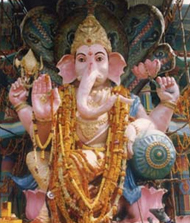 Lord Ganapathi, having a curled trunk, one tusk partly broken, large ears, a massive body, four arms, and the radiance of hundreds of suns, elimintates all obstacles that impede success. 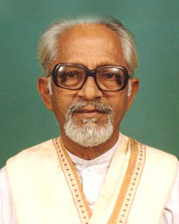 Late Mr. S. Sankarayya freedom fighter, in 1954 founded Sri Ganesh Utsav Committee, Khairatabad, Hyderabad. 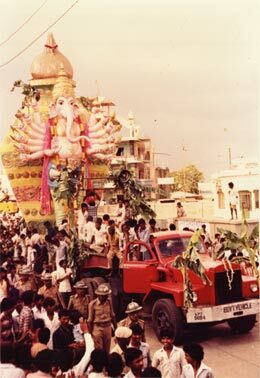 Since then every year it developed with the constant effort of Mr. S. Sankarayya's family and friends and committee members. 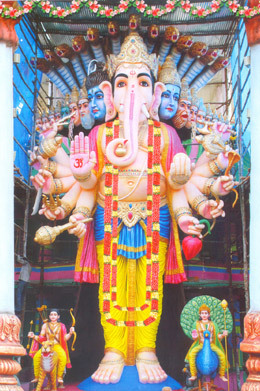 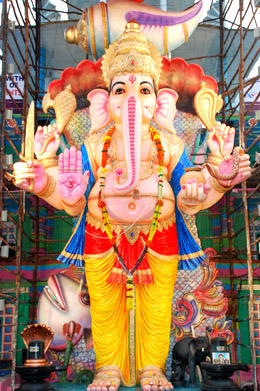 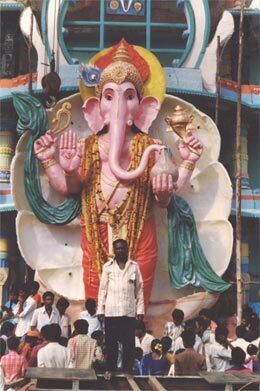 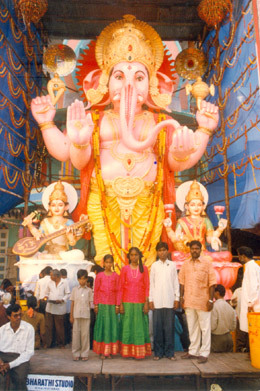 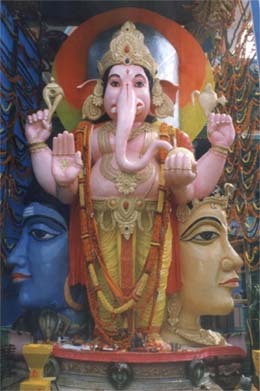 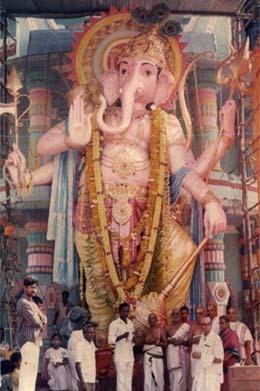 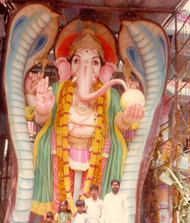 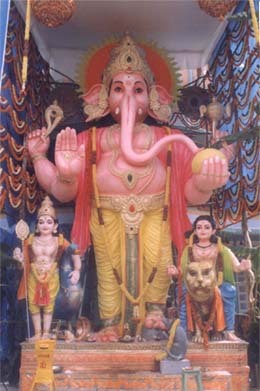 The Ganesh idol of this place is the tallest in the world, averaging to 60 feet. 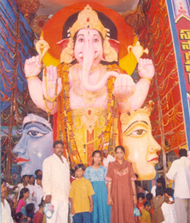 Mr.S.Sankarayya's brother Mr. S. Sudershan continuing the tradition of Ganesh Pooja in Khairatabad, Hyderabad, with the help of Mr. Sandeep Raj and his son S. Rajkumar successfully, since 64 years. 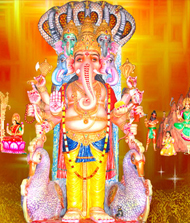 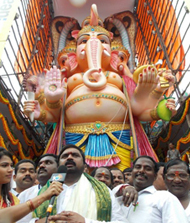 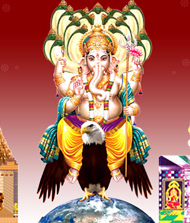 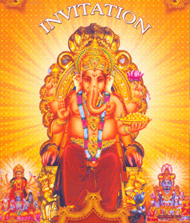 Every year lakhs of devotees visit daily this 11 days event of Ganesh Utsav. 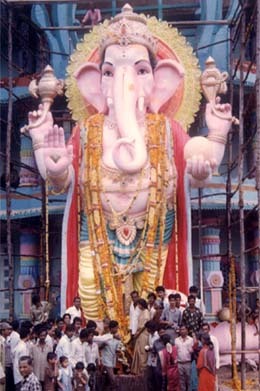 On 11th day this huge Ganesh idol, with the help of large cranes will be immersed in Hussain Sagar lake, after long procession. 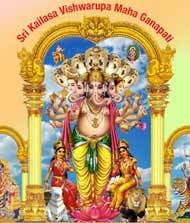 This year 2018, Ganesh Ustav starts on 13-09-2018 to 23-09-2018.